In the first part of this series, I’ve explained how Azure AD Connect version 1.1.553.0 and beyond allows you to switch from objectGUID to mS-DS-ConsistencyGuid as the source anchor attribute , the benefits of doing so and what you may and may not expect when you make the switch. Now that I’ve shown you the changes in Part 2 of this series, it’s time to see how you’d actually perform the switch from objectGUID to mS-DS-ConsistencyGuid as the source anchor attribute, when you come from a previous version of Azure AD Connect to version 1.1.561.0, or up. 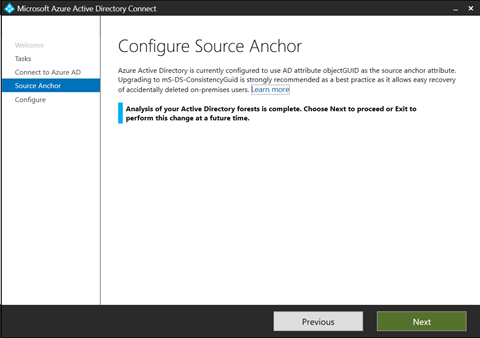 (since new installations of Azure AD Connect are automatically configured with mS-DS-ConsistencyGuid as the source anchor attribute). When you switch from objectGUID to mS-DS-ConsistencyGuid as the source anchor attribute for Azure AD Connect, it will trigger a Full Synchronization cycle. With current Full Sync cycles as long as 42 hours for some organizations, it is important to plan the switch at a point in time, that does not bode a slew of changes in on-premises objects. During the Full Synchronization no other cycles may run; any changes you make will flow to Azure AD only after the next synchronization cycle(s). In case something goes wrong, it’s a nice feeling when you know how to recreate the Azure AD Connect configuration. Documentation also helps you to perform root cause analyses when something goes wrong, and formally sign off on the changes in synchronization rules. 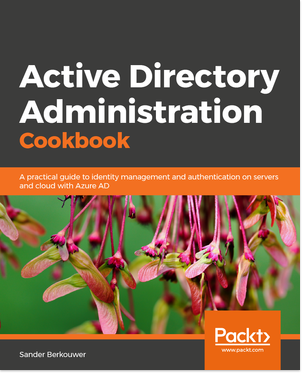 When you utilize Active Directory Federation Services (AD FS) for your Azure AD authentication scenario, it’s also a good idea to document the AD FS configuration before and after you switch. The AD FS Rapid Recreation Tool does the job. Making backups may be considered to be the most important safety net some systems administrator will come up with. However, being able to restore your Azure AD Connect installation(s) is more important. Make sure you can, by performing a test restore. As I mentioned in part 1 of this series, when you make the switch, you’ll need to make the switch on all Azure AD Connect installation(s) in your environment. Don’t forget to make the switch on your Staging Mode servers, because the source anchor attribute is a per-Azure AD Connect setting. 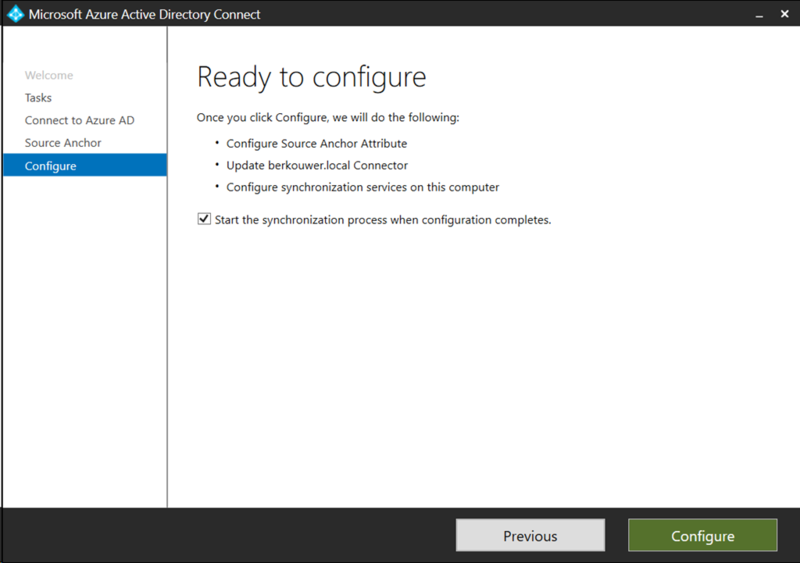 Log on interactively to the Windows Server installation that runs Azure AD Connect. Open Azure AD Connect using the link on the desktop or by searching for (part of) its name in the Start Screen and then clicking it in the search results. Click the Configure button on the Welcome to Azure AD Connect screen. Click on Configure Source Anchor in the Additional tasks screen. Enter the credentials of an Azure AD account with Global Admin privileges for the Azure AD tenant you’re synchronizing with. Perform multi-factor authentication when this is configured. The Configure Source Anchor screen provides more information on the source anchor best practice and informs you that Azure AD Connect did not find any other application that uses the mS-DS-ConsistencyGUID attribute. Click Next. In the Ready to configure screen, click Configure. Click Exit in the Configuration complete screen. Azure AD Connect performs the Full Synchronization cycle. Half an hour after this cycle ends, by default, it will perform a delta synchronization cycle. When you have Staging Mode Azure AD Connect installations, perform the same steps on these servers. When you want to document your changes in Azure AD Connect, run the PowerShell cmdlets mentioned above again. A tool like the Azure AD Connect Configuration Diagrammer provides a quick overview of the changes in the Azure AD Connect configuration. That’s all there is to know about switching from ObjectGUID to mS-DS-ConsistencyGUID as Azure AD Connect’s source anchor attribute for user objects. And still it would be nice to know how to change adfs 🙂 Not everyone uses the auto configuration for adfs. Also what to do when adfs is already present and not ad connect managed? Or are we getting a part 4 adfs 🙂 ? Futhermore thank you sir! In a cross-forest migration scenario where the source forest will be decommissioned, the source anchor must be changed from objectGUID to something like ms-ds-ConsistencyGUID not only for user objects but also for groups and contacts. I know this can be done in the Synchronization Rules Editor but is there any good documentation etc. you are aware of that details how to do this? Roelf is an Active Directory MCM and today works as a PFE at Microsoft Gulf. His blogpost refers to user objects (and thus also InetOrgPerson objects) only, but there might be sufficient guidance there for groups and contacts, too. Please note that Roelf’s employment and my recommendation of his work will in no way imply support by Microsoft. When making this change is it possible to do it on a staging server first? That way you could let the staging server perform it’s full import/sync and then make it the active server which would hopefully reduce the amount of time your syncs are paused as it would only need to do a full export? Since Azure AD Connect in Staging Mode doesn’t perform exports, it can’t populate the mS-DS-ConsistencyGUID for objects in scope. The active server needs to perform the exports and , then, the Staging Mode server needs to be configured to use the same configuration as the actively synchronizing Azure AD Connect installation. Do you know how I can query this stored information from the AzureAD tenant ? According to the Graph Explorer (aka.ms/ge), the sourceanchor value seems to be stored in a user attribute called onPremisesImmutableId. You might be able to query this attribute using the Azure AD PowerShell Module and the Graph Explorer. 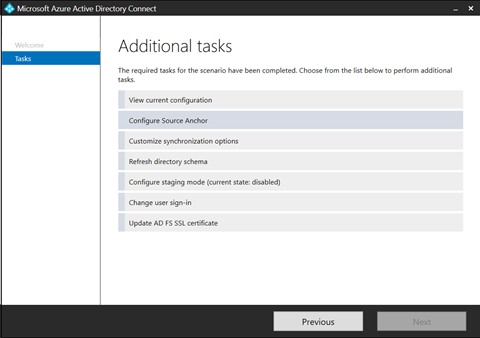 In Azure AD Connect’s Synchronization Service interface, the attribute is labeled as sourceAnchor in the Azure AD Management Agent (MA), though. thanks for you answer but if I understand the quoted paragraph correctly there must be a global setting in the Azure AD tenant where the currently used sourceAnchor attribute is stored not only in the synchronized user objects. 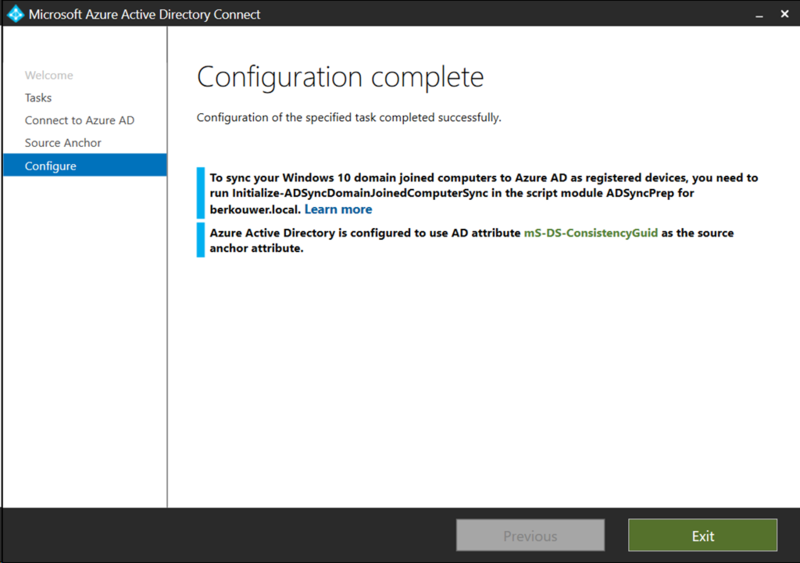 If I delete all synchronized users and uninstall Azure AD Connect and install it on another on premise server, during the initial connect to the still existing tenant the new Azure AD connect setup is able to determine that “ms-DS-ConsistencyGuid” is used as sourceAnchor. So there must be a global setting in the Azure AD tenant, but I dont know how to query it ?